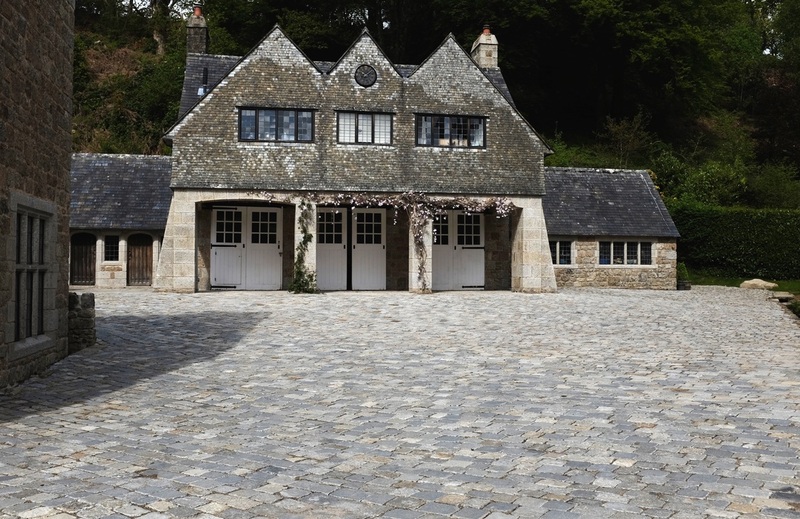 Cobbles in Devon are extremely common. Whether they are granite setts, pitched stones or pebbles - aesthetically, they are very pleasing. Wherever possible, we try to avoid cement products. Either lime mortars - or simply laid on recycled crushed concrete (as above) - produces a far more 'organic' feel to the work.